As part of Hubbard One's Innovation Forum in late 2010, I had the good fortune of spending time with a number of thought leaders in the legal marketing and legal technology sectors. Allen Fuqua, Chief Marketing Officer of Winstead PC of Dallas and a veteran of legal marketing, shared his views on what's new in the field. 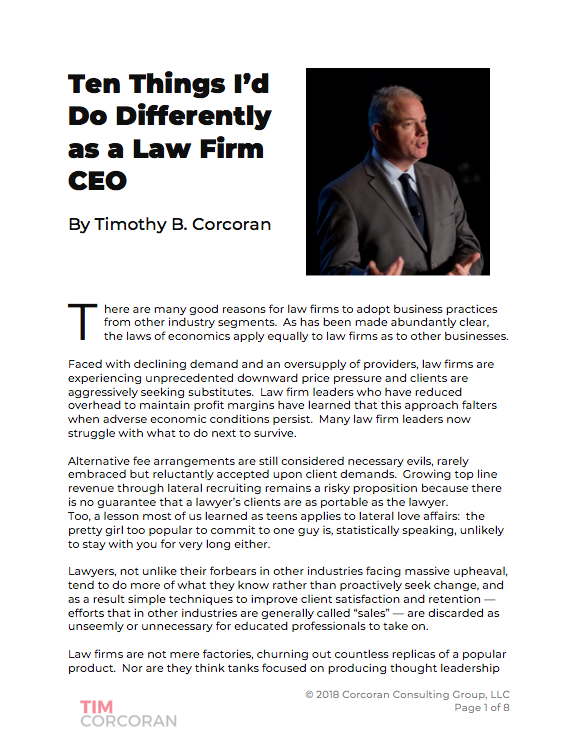 As the economy emerges from the recession, it's notable that he doesn't see law firms retreating completely back to old ways. We are all faced with doing more with less, focusing on efforts that produce results, narrowing our field of vision... and helping lawyers understand that such prioritization requires choices. See the interview here. Enjoy!